Access to all live-streamed sessions at the time of airing and through recordings after the event. Please use an email address you check frequently as this is how you will receive your instructions to access the streaming. Please direct questions regarding registration and payments to mstarkweather@newkentschools.org. Student Discount Information: As a TESOL affiliate, we adhere to their definition of student: "Full-time student status is defined as 3 or more (3+) credits at PhD level, 6+ credits at master's/graduate level, or 12+ credits undergraduate level per term/semester. Student members must have been able to meet this criteria at any point of the membership year in which they join." 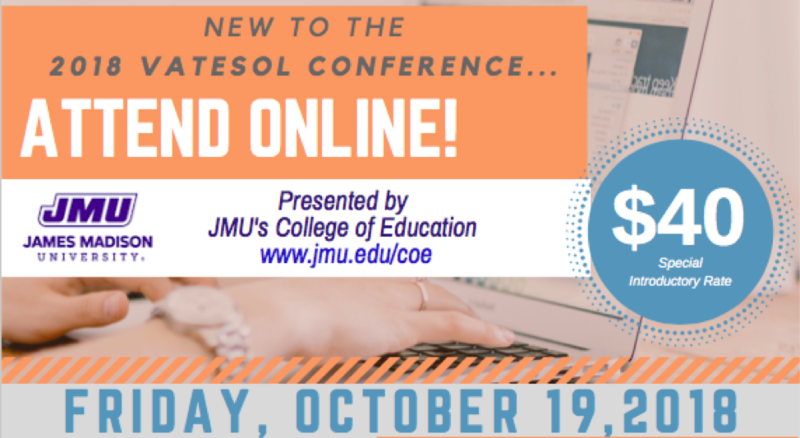 The purpose of our discount is to make conferences more accessible to future VA teachers and teacher-educators. Students may be asked to verify their student status.